For all drum enthusiasts, this is not to be missed. Having graduated from New York’s New School University and mentored by legendary jazz drummer Ari Hoenig, Steve’s first major opportunity was performing with Jose James and playing on his 2008 album The Dreamer. Steve is also renowned as a world-class educator, teaching at the University of Utah, Utah Valley University and Snow College as well as being a sought-after clinician. He is also author of the book A New Approach to Odd-Times for Drumset which was published by Mel Bay Publications on 2013. 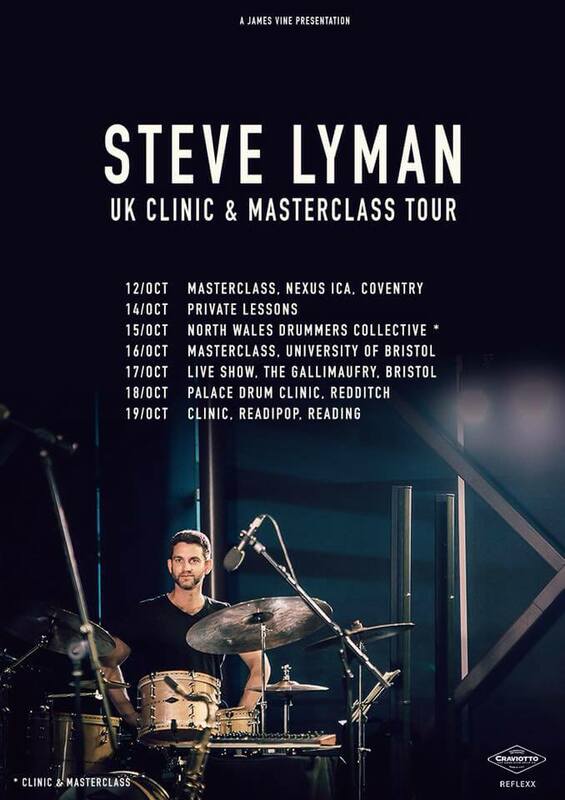 Steve is currently endorsed by Craviotto, Reflexx practise pads and most recently, Istanbul Mehmet.